Author Vince Pantalone’s New Book ‘Incident on the Road to Canterbury,’ Puts a Spin on Chaucer’s ‘Canterbury Tales’ by Offering a Precursor to the Classic Work. Recent release “Incident on the Road to Canterbury” from Newman Springs Publishing author Vince Pantalone is creative “story before the story” of the memorable characters and their journey to visit the shrine of Saint Thomas Becket at Canterbury Cathedral. HARRISBURG, Pa., October 12, 2018 – Vince Pantalone, a retired high school English teacher and current defensive coordinator for the Lebanon Valley College football team, completed his new book “Incident on the Road to Canterbury”: an imaginative take on the events leading up to those in the classic. Published by Newman Springs Publishing, Vince Pantalone’s adventurous tale follows familiar characters in the colorful rendition of events unimagined before. In 1366, a young Geoffrey Chaucer travels to Canterbury with a group of pilgrims to worship at the tomb of Thomas a’ Beckett. Along the way, the procession is halted with a kidnapping and murder. Chaucer, along with other members of the trip, must come to the rescue of the kidnapped victim. This experience will influence Chaucer to write his masterpiece twenty years later. “Incident on the Road to Canterbury” reads like a prequel to Chaucer’s work. Those familiar with “The Canterbury Tales” will be familiar with many of the characters. For those not familiar with Chaucer’s work, they will be introduced to some of literature’s most famous characters. It is a novel of rich characters, strong dialogue, and plenty of action. 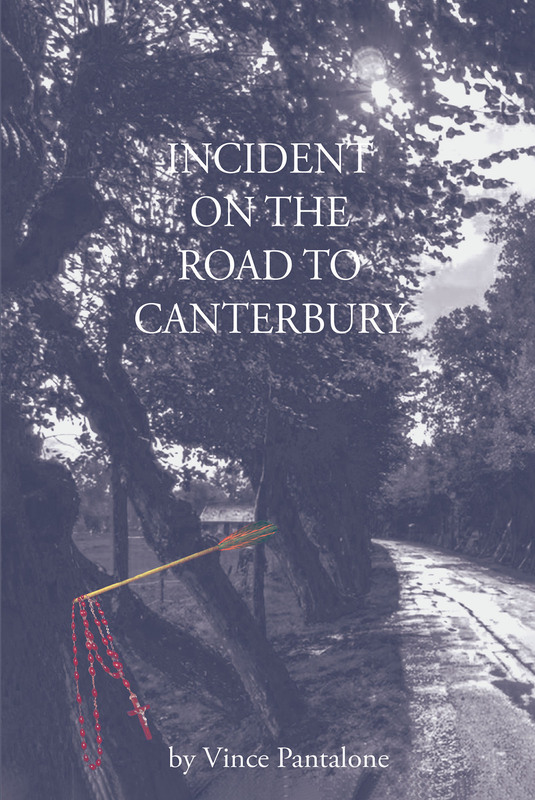 Readers who wish to experience this unprecedented work can purchase “Incident on the Road to Canterbury” at bookstores everywhere, or online at the Apple iBooks Store, Amazon, or Barnes and Noble.